The daughter of a Navy nurse and an Air Force pilot who had died in a plane crash when she was three, Mariner made it her goal to be as qualified as possible to fly in the armed services. She got her private pilot’s license at age 17. Then she got her aeronautics degree from Purdue University in 1972 when she was 19. Capt. Mariner died at age 65 last Thursday of ovarian cancer, nearly five years after she had been diagnosed. 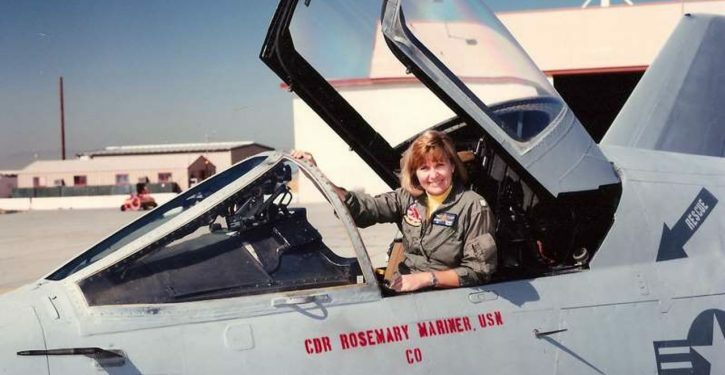 At her funeral service on Saturday, the Navy plans to honor her with a “missing man flyover” — a tribute honoring aviators who have died — that will consist of all women. It will be the first all-female flyover ever conducted, the Navy said.